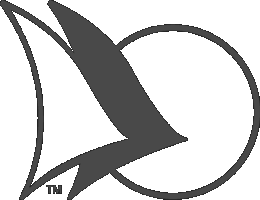 Superior shipping protection for fragile instruments and electronic equipment. 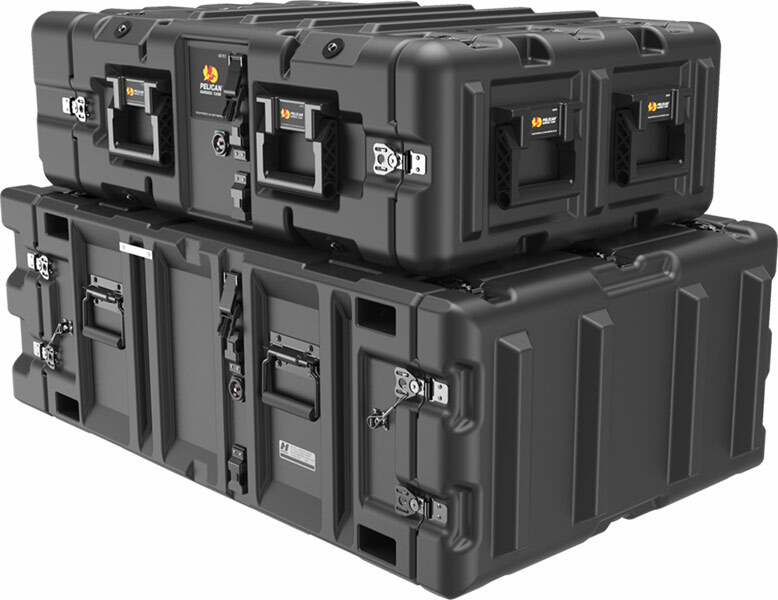 The Peli Super-V Series has a 24” deep frame and uses shorter shock mounts for compact case dimensions. 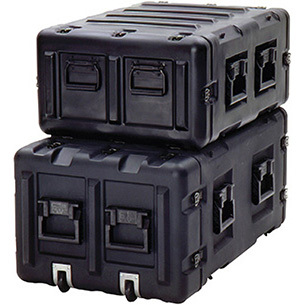 This case uses edge casters - just grab the Comfort-Grip Handles and you’re ready to roll. Off-the-shelf rack mount case with pro-grade features. 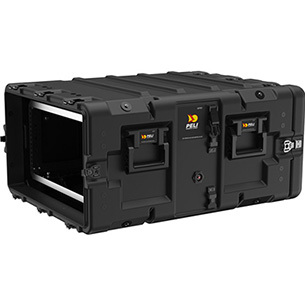 The Peli Classic-V Series has a 33” depth frame and has longer shock mounts and a larger sway space between the rack and shell. Extra insurance if your equipment frequently ships via freight services. SuperMAC™ is our most compact container with a removable rack option, making field deployment and equipment integration easier than ever before. SuperMAC container's innovative design makes strategic use of every interior inch, allowing ample space for wiring and equipment integration while providing medium duty protection. 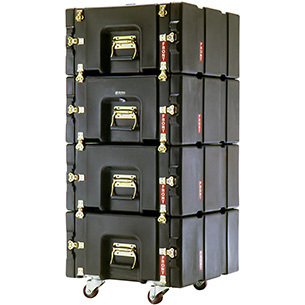 Peli’s extra rugged, rotomolded Classic Rack Cases have demonstrated their strength thousands of times over by saving ultra-fragile equipment from damage during transport. 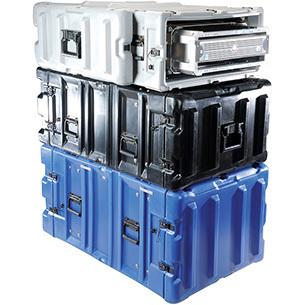 ProRack Cases are the ideal option when you need a light weight, space-efficient, front and rear opening container, but not a shock mounted system. 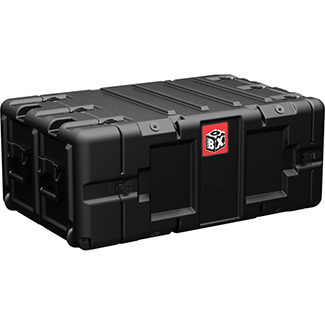 This is the toughest small case available for security, rain, immersion, dust and impact. The lightweight, compact design of the Min Mac Rack™ double ended cases, offer light to medium duty protection and boast industry leading shock performance. If you are trying to make the most of limited space, but still require a rugged protection for your equipment, Min Mac Rack™ is the answer. 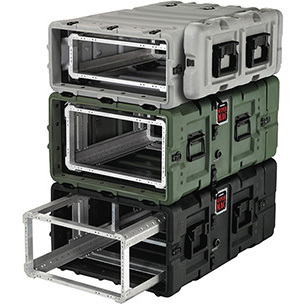 These light weight, compact, and double ended cases offer light to medium duty protection and boast significantly better light duty shock performance than the competition. Don’t see the size your looking for? 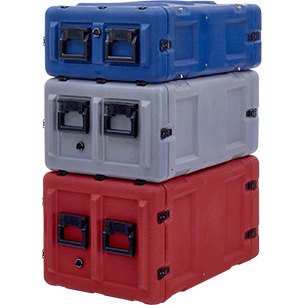 Pelican Custom Case Solutions has 40+ years of building cases in custom sizes to perfectly suit your needs.